Channeling a classic cycling style, these women's bike shorts help you power through your workout with a tight, stretchy fit. Smooth nylon contrasts with textured ribbed blocking for added style. 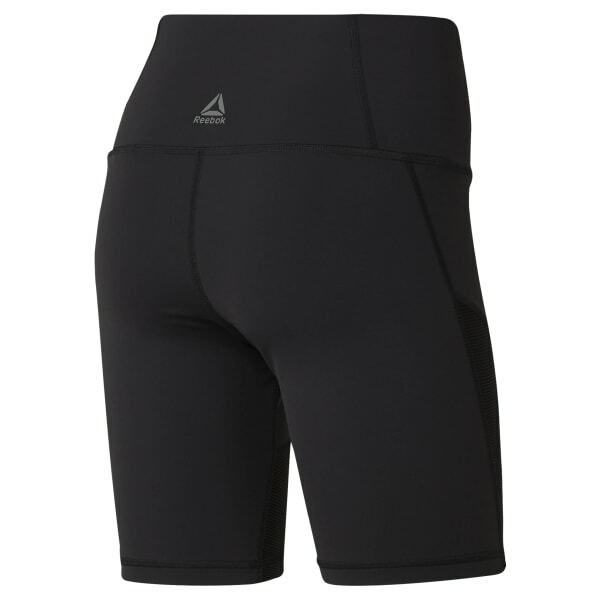 The shorts have a sweat-wicking, fast-drying design for a cool, dry feel.